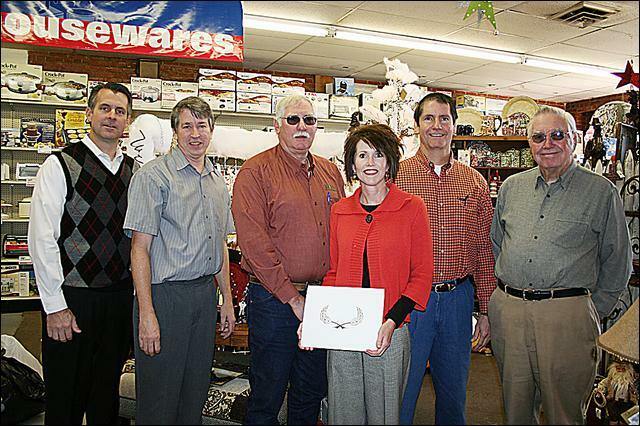 To celebrate the Ross Seed Company’s 90th anniversary, Chickasha Mayor Greg Elliott proclaimed Thursday, Nov. 20, 2008 as “Ross Seed Company Day” in Chickasha. The business was established by brothers Ed and Leo Bitsche, who opened the hardware store. After World war I, Henry Ross married Marie Decker, Ed Bitsche’s niece, which merged the family traditions of selling flowers, running a nursery and feed store and even selling Chevrolets.